You love your grandchild and want to maintain the relationship despite a divorce, the death of your child, incarceration, military deployment, or other situations that may affect your ability to have a meaningful relationship as a grandparent. We understand your concern. If you have previously attempted to discuss your desire to visit the child with the custodial parent(s) with no success, our compassionate law firm will work to assist you. Angotti & Straface Attorneys at Law L.C. 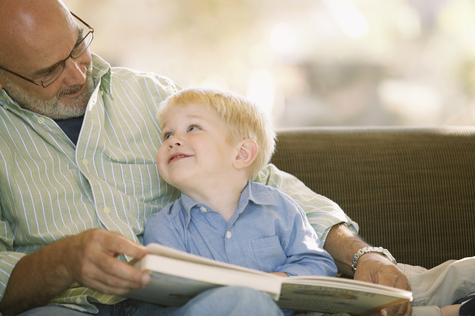 in Morgantown offers the experienced legal representation required for grandparents in Monongalia County to gain grandparent visitation rights. Unable to See Your Grandchild Due to Parental Divorce, Death, or Prison? Your child may be unable to provide care and support for your grandchild for many reasons. However, if there is no compelling reason preventing you, as the grandparent, from seeing the child, we will assist you with seeking and obtaining a court order to enable you to continue the relationship that you previously enjoyed. If you maintained significant involvement in your grandchild’s life, or he or she lived with you for an extended period, the court may find that maintaining a relationship with your grandchild serves the best interests of the child. We have been trusted to assist residents throughout West Virginia secure their right to visit with their grandchildren since 1952. Obtaining grandparent rights in cases involving family discord or disputes can be complicated. Under West Virginia law, you have a legal right to visit with your child in many cases if it can be shown that your involvement is in the child’s best interests. However, the parent-child relationship is considered the most significant factor. If you are interested in pursuing visitation with your grandchild despite objection from the child’s parent(s), you require the skill and extensive legal knowledge of attorneys Angotti & Straface. We will work with you on a one-on-one basis to create a strong, compelling case to demonstrate justification for your custody or visitation rights. Call for a free initial consultation: (304) 292-4381.